Regular eye exams are important for people of all ages and help detect eye diseases like glaucoma and macular degeneration in their early stages, before they cause vision loss. The eyes also give an indication of your general health - with signs of hypertension and diabetes often appearing in the eye before the symptoms are apparent in the rest of the body. Your full eye exam will include a check of how well you can see and determine if glasses will help you to see more clearly. We also consider how the eyes work together, to ensure that you’re seeing both clearly and comfortably. Lastly, we examine the health of the eyes, inside and out. 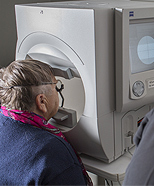 We will screen for eye diseases such as glaucoma, cataracts and macular degeneration. After a certain age, the best way to do this is with dilating eye drops, which open your pupils and give us a wider view of your internal eye. These eye drops can make you light-sensitive for a few hours and blur your near vision temporarily, so we recommend you bring sunglasses (or a driver) to your appointment. Comprehensive eye exams for toddlers and children are the most effective way to diagnose and prevent eye and vision problems. 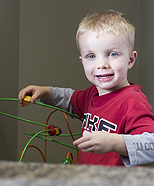 It is very important to detect and treat eye conditions in children at an early age especially to prevent amblyopia. Sometimes called“lazy eye”, this is a situation when the nerves do not properly develop. This is best treated very young, because as the child is a few years older, the chance of success is less. Because it is possible to give the appearance of seeing well, even if only one eye is working properly, even children who seem to see well should be checked at least once very young. Also during the early learning to read years it is very important to be checked to ensure the vision is optimized for the crucial learning to read process. 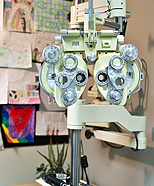 During your child’s eye exam we determine how well he or she can see in the distance and up close. Don’t worry if your young child does not know how to read – we have number and picture charts and other techniques to help determine their level of vision. We make sure that the eyes are well aligned and work and focus well together. We test for colour vision and stereo vision (3d vision). And lastly, we ensure that your child has healthy eyes. We recommend that children have their eyes tested at one year of age (assuming you think their eyes are perfect, earlier than that if you think they aren’t ) again at about two years, and then every 2 to 3 years as they go through school, to ensure they are meeting vision levels required to do well in school. After all, 80% of learning involves vision! Trouble with reading skills can translate into problems later in their academic and future career. Ohip still covers children from 0-19 years old for full eye exams once a year, and partial eye exams any time in between. 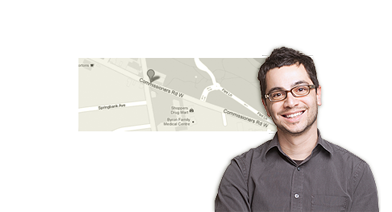 Byron Optometry has been one of the only low vision specialists in London for the past 20 years. We work closely with the CNIB (visit website) to offer patients with limited vision a variety of low vision aids and adaptive devices. We carry a variety of magnifiers, spectacle mounted telescopes and magnifying reading glasses to help with daily tasks. If you suffer from glaucoma, macular degeneration, diabetic retinopathy, or any other condition that significantly impairs your vision, it is important to have a low vision examination to determine whether special optical devices, better lighting, or other types of training can help you use your functional vision more effectively. Eyes come in different shapes and sizes – this is why a proper contact lens fitting and training is crucial to make sure your lenses fit your eyes properly and work for you . After we measure your eyes, and fit the lenses, we will provide appropriate trial contact lenses for you to try at home and work. We fit both rigid gas permeable lenses as well as monthly, two week, and single-use soft disposable contact lenses and the new hybrid lenses. We have lenses for astigmatism, lenses for dry eyes and even bifocal contact lenses! We can fit you if you just want them for occasional use, or for regular day to day wear. Maintaining good eye health while wearing contact lenses is very important. This is why we instruct you how to insert and remove your lenses and how to care for them and teach you to know how to maximize the health your eyes. We do recommend regular contact lens health exams for all contact lens wearers. If you find glasses and contact lenses are limiting your active lifestyle, you many want to consider corrective laser eye surgery. The advent of Custom Intralase (bladeless) Lasik has made vision results even more precise! However, not everyone is a candidate for surgery and it is important to consider all the risks and benefits before proceeding. 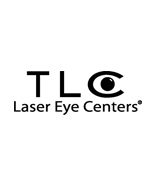 We work closely with our partners at the TLC Laser Eye Centre to ensure that you receive the best pre and post-operative care. You can even ask the staff and doctors here who have had surgery at TLC for their own experience! Patients with certain symptoms should be seen right away. If you have any sudden vision changes, flashes or floaters in your vision, a foreign body, or sign of an eye infection please give us a call. 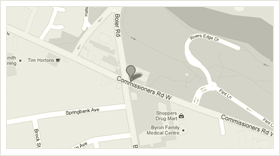 We will try our best to accommodate you the day that you call. 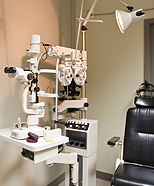 We can also arrange same day appointments with the ophthalmology department at St. Joseph’s Hospital if required. We are proud to offer our patients this new technology. 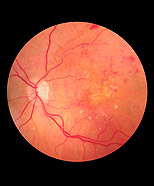 A retinal image is a digital photo of the retina (nerve layer) that lines the inside of the eye. This photo allows us to see if your eyes are healthy or if there are any abnormalities that may threaten vision, or need attention and monitoring. It is especially useful for patients with a history of diabetes, glaucoma, macular degeneration or any other retinal disorders. We recommend that these photographs are taken on all adult patients to provide us a baseline for comparison during future visits. The screening only takes a couple minutes and is completely painless. We would be happy to print off the images for you to keep, or even send them to you by email. Just ask! Your visual field is everything that you see. An Automated Visual Field is a computerized test that maps out your vision straight ahead as well as your vision to the side (periphery). It helps us to detect a problem in your central and/or peripheral vision, which may be caused by various medical conditions such as glaucoma, stroke, brain tumors or other neurological diseases. The test takes approximately 10-20 minutes and is painless.